Japan “Dolphin Town” To Set Dolphins Free? Remember that article I posted on the movie “The Cove?” It is a documentary about a practice in Japanese town, wherein fishermen annually catch dolphins. They then either sell the dolphins to aquariums and other similar establishments or slaughter them for meat. 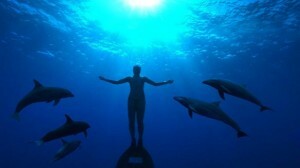 The documentary stars Ric O’Barry, erstwhile trainer of the TV series Flipper, which aired in the 1960s. Activists were quick to join O’Barry’s bandwagon, pushing the movie into the international limelight. As a result, the international community has created an outcry that no one can ignore. The town of Taiji is an otherwise quiet town. Following the release of The Cove, however, its residents have experienced such intense scrutiny that it seems that they have no choice but to accept their “fame.” The international pressure on their tradition has reached such a point that the Taiji fisheries association has succumbed – even if only temporarily. An unknown official of the organization has announced (anonymously, of course) that they will NOT be killing any of the dolphins in their first haul of the year. Instead, they will be picking out the best 50 of the lot and sell them to aquariums. The rest they will set free. He says, though, that they are still unsure as to what to do in the long term. On the one hand, the town’s residents “do not want any trouble.” On the other hand, they do not want to let go of tradition because of the pressure. O’Barry and the rest of the people involved in the film are, naturally, elated at the news –even if it is not set in stone.